This is your turnkey dream home. Upgraded and immaculate, this home shows perfection in every room. A Small court yard with fountain. An open floorplan with Soaring ceilings in the living room with abundant windows provide tons of natural light makes home bright with huge backyard greenery, Pride of ownership is evident throughout, Recessed lights, Ceiling fans, Kitchen with Quarts countertops in kitchen, island, Back splash with matching color glass tile design, Stainless steel appliances, and tons of cabinet space. Downstairs bedroom with accent wall shower, 3 more bedrooms upstairs, the master bathroom has Quarts countertops, a dual sink vanity, a walk in shower with a separate soaking tub and an organized walk in closet, Plantation shutters and many more. Work out of home? No problem a casita of about 240 sf of office/gym that separates home office from home (Not included in square footage). The greenery filled yard is an entertainerâs dream with built in BBQ. 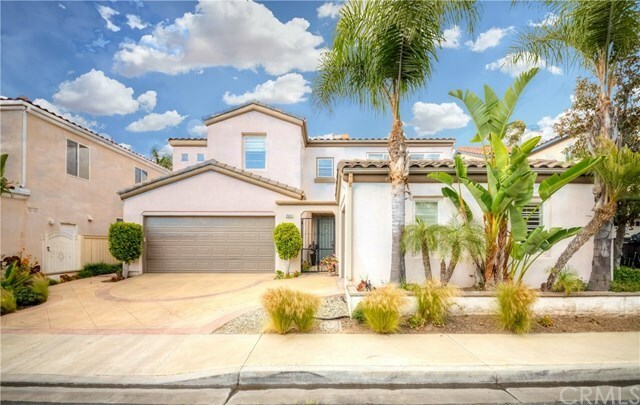 Located near Peters Canyon, Perfect home for nature lover. Buyer to verify all information.